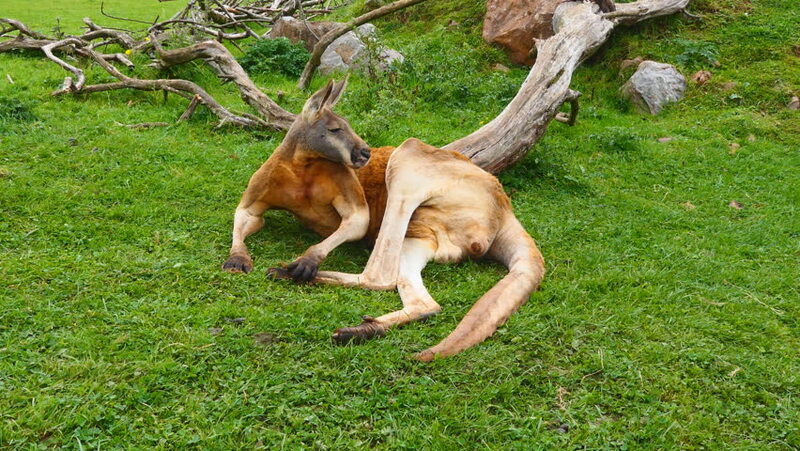 Kangaroo lies on the grass. 4k00:16A kangaroo lying down on the grass. hd00:16Solitary giraffe stands amongst the trees. chewing his cud in the shade in its habitat enclosure at a popuar. public zoo. hd00:15moose in sweden - absolutely rare - newborn moose calf! hd00:23Early winter in the mountains - Fallow Deer (Cervus dama). Male & young grazing grass on the forest meadow.